Harbor night celebration takes place on every Wednesday during high season (usually May through September) on Front Street of Hamilton Bermuda. So what is Harbor Nights? Basically, Bermuda at its best. This is the longest running street festival in Bermuda and the largest. The Front Street in Hamilton gets closed to all vehicles after sunset. The shops and the restaurants remain open till late at night. And the street comes alive with sparkling lights and music. Large number of vendors wearing colorful dresses sell various kinds of local arts and crafts. Many of them will be the local artists themselves who are generally willing to chat with you and explain their artwork. There are also a number of food sellers selling different kinds of food - both Bermudian and ethnic. And then comes the Gombey dancers with their lively music and rhythmic drumming. They are huge crowd pullers. It's a great experience even if you just take a stroll along Front Street and enjoy the ambience of the Harbor nights. People mix freely and talk to each other. This is a great family event and gives a wonderful insight into Bermudian culture. If you plan to take your dinner in Hamilton on Harbor Night, make reservations and come early. Choose a restaurant with a balcony facing the Front Street and the harbor. You will watch the whole festive world below on the street with a backdrop of the beautifully illuminated harbor. Dining experience can't get any better than this. We just love it. You will find some of our favorite restaurants with balcony and overlooking Front Street in Top Restaurants page (under the section 'Restaurants in Hamilton City') that offer great vantage points to watch the street festival. 1) On-street celebrations from 7 to 10 p.m.
2) Shops are generally open until 9:00 p.m.
6) Lots of activities for Children in the Children's Court, including fun castles in all sizes, the ever-popular train, face painting, tattoos and hair braiding. 7) You can see the Bermuda Regiment band, which marches down Front Street in full regimental apparel with pipes and drums. And of course one of the biggest attractions is the performances by the Gombeys troupes. Harbor Nights is organized through joint efforts of Bermuda Chamber of Commerce, Bermuda Tourism Authority, the Corporation of Hamilton, and the Department of Community and Cultural Affairs. Harbor Nights will also be held on April 17 and April 25, 2019. From the dockyard (Kings Wharf), you can take the ferry to Hamilton (takes 20 minutes). Last ferry on Harbor Nights returns at 10:30pm from Hamilton to Dockyard. Check Ferry Schedule. You can also get buses from the Central Bus Terminal at Hamilton (near City Hall) to get back to Dockyard (takes about an hour). There is a bus (#8) that leaves Hamilton at 10:30pm for dockyard. From St George, you can take a bus (#10, 11) to reach Hamilton in about an hour. You will get a bus back to St George after the event is over. Other than pass, you can use token ($4.50), cash in exact change ($5.00) or a ticket from a pack of 15 (pack costs $37.50) in both buses and ferries to reach Hamilton from dockyard. Same fare to return. Ample taxis are also available. Some boat operators like Destiny Water Tours offer Harbor Night Tours on their motor boat at a reasonable rate. The tour includes transfers from dockyard to Hamilton City and return, plus two hours at the festival. This is quite convenient for the cruise ship passengers. Update January 2016: 24th Annual Harbor Nights is scheduled between May 4 to August 31, 2016 on every Wednesday. As usual, Front Street in Hamilton will be the main venue to host the longest running festival of Bermuda. Update September 2015: While Harbor Night has ended this year, another Wednesday event called 'October Lights' will replace Harbor Nights and would run through October on Front Street. It's portrayed as the magical version of Harbor Nights with lots of light related activities plus many arts & crafts display, unique gift items, food & activities for kids etc. Update May 2015: This year Harbor Nights is scheduled between June 3 - September 2, 2015 (7pm to 10pm). Additional ferries beyond normal hours will be provided for visitors returning to dockyard. Update May 2014: Harbor Nights is scheduled from May 7 to September 3, 2014, on every Wednesday from 7pm to 10pm. This is the 22nd anniversary of the event. Additional ferries will leave Hamilton ferry terminal for dockyard on Wednesdays at 9:30pm, 10pm and 10:30pm. Update April 2013: Harbor Nights is scheduled to start on Wednesday May 1, 2013 and will run until Wednesday August 28, 2013. This year the route or the area for the event has been expanded. Apart from Front Street, it will also include Reid and Queen Streets. Vendors will set up stalls on all these three streets which will be made pedestrian only zone after sunset. Another addition is cultural entertainment programs almost along the entire route. Update April 2012: This is the 20th anniversary of Harbor Nights in Bermuda and the organizers plan to hold the event this year for 20 consecutive weeks starting from April 25th and plan to make it larger than ever. So the last Harbor Night this year takes place on September 9, 2012 as per schedule unless the organizers extend it based on demand (which has happened in the past). 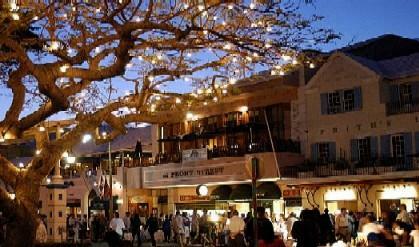 2) Bermuda Nightlife: Bars, Pubs, Night Clubs, Night Festivals & Celebrations etc. Harbor Nights has ended. Another weekly event called 'October Lights' is scheduled to start every Wednesday in October, so the first such event will be on October 7th. You can see the lights and several vendors will set up stalls selling food and items for kids etc on Front Street. It's a smaller version of Harbor Nights. What restaurants should we reserve for overlooking HArbour Nights. We are a family of 6 coming in Aug 2nd. My hubby is a chef but we don't want to spend an arm & leg with the teens. Just some good local flavor. Thanks! You can consider Pickled Onion or Bolero Brasserie. We plan to attend the Harbor Nights on Wednesday. It doesn't start until 7pm. We will wrap up at the BUEI at 5pm. It seems like a lot of the attractions close at 5pm. Could you please give me some advice as to what to do for the two hours while we wait for the Harbor Nights to start? Ps. Your website has been INVALUABLE to me...Thanks so much!! It's a good time to do some shopping at the alleyways of Hamilton and pickup some souvenirs. If you are planning to dine in Hamilton, then you need to go early to a Front Street restaurant and grab a balcony-side table. You can then watch the festival below while enjoying drinks and dinner. Otherwise from BUEI walk down along Front Street and visit Point Pleasant Park at Albuoy's Point located near the ferry terminal and HSBC Building. Sit and relax on a bench for few minutes... great harbor view. Then walk down to Queen Elizabeth Park (nearby on Queen St.)... lovely flower gardens, pathways, sculptures and trees. There should be still enough daylight. The Historical Society Museum is located at one end of the park (the museum would be closed though). Spend few minutes before you walk back. Notice the Birdcage at the junction of Queen Street and Front Street. It's a blue & while metallic structure where a policeman used to be posted to control traffic. Unlikely that it'll be extended, but it has happened in the past. Good luck! That is a shame, because we're coming in with a ship that holds almost 4,000 passengers. That's a lot of potential income that I can't believe the city would pass up on. I have been to this event on previous cruises and I know it was past the first week of September. I hope they extend it. Thank you so much for your prompt reply. I enjoyed scrolling through your website. My cruise ship will be at Kings Wharf on June 4, 5, 6. Will there be Harbor Night on the 4th? You mentioned ferry from Kings Wharf to Hamilton, what is the cost, please? How far a walk from the Hamiton pier to the location of the Harbor Night festivities? Also, do cruise ships still dock in Hamilton? Thank you for your time. Yes, there will be harbor nights on 4th June (Wednesday). As you come out of the Hamilton Ferry Dock, you will be on Front Street which is the main venue of Harbor Nights. Cost from Dockyard Ferry to Hamilton Ferry (one way) is $4 by token, $4.50 by cash. Only few smaller non-contracted cruise ships dock at Hamilton but not every year. Our small company is bringing its staff to Bermuda this month to celebrate our 20th anniversary, which coincides with Harbour Nights 20th - cool, right? I've been to Bermuda many times, but never when Harbour Nights were happening. I'd like our crew to see the Gombey Dancers and enjoy the street party, but I have a few questions. Do you know around what point in the evening the dancers start? Also, wondering what kind of street food there is - trying to determine whether we can make a meal of it, or whether we should plan on a restaurant meal sometime around the proceedings (preferably without missing the dancers). I would appreciate any input you can provide to help with our planning to make the most out of the night. P.S. 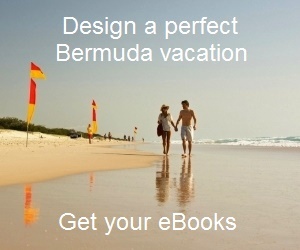 : I really appreciate your site - very informative and all-encompassing. You have helped me a lot over the years, including with planning this extra-special visit. Hi Anne, the food sold by the vendors on the street during harbor nights are mostly finger food. But there are restaurants right in the vicinity. So if you are to choose a place to eat while watching the activities, it's best to try one of these restaurants: Pickled Onion, Barracuda Grill, Hog Penny or Flanagans. You can actually see the Gombey dancers from the Flanagans balcony. You can however hear them from the other places as well. The dancers normally come around 8pm but they also close it out, so the times vary. Hi! Firstly, thank you for having such an informative site! I just wanted to find out if you knew of any listed ferry schedule for the Harbor Nights or had any additional information. I know your site mentions additional ferries, but the official transportation site does not mention any extended schedule. I just want to make sure that when we make our visit, we can plan on having nighttime transportation from the Dockyard to Hamilton, since we're very much looking forward to seeing the local celebration! Otherwise we have to re-plan our itinerary which would be unfortunate. Thanks!